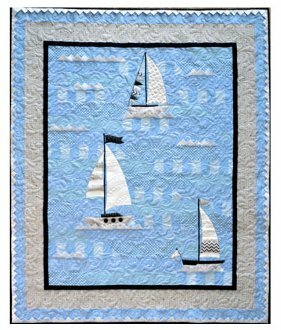 Sail the seas with this calming lap quilt. Simple piecing and bit of appliqué are accented by the picot point “waves,” giving this quilt texture and movement. 1 1/2" picot point ruler used for the waves.